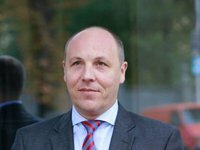 The Verkhovna Rada's chairman Andriy Parubiy will be on a visit to South Korea from December 10 to discuss, in particular, a visa-free regime between the two countries. "We are on the brink of crucial decisions," Parubiy said in an interview with Rada TV channel, adding that there are plans "to reach the finish in discussing the decision to discontinue the visa regime between Ukraine and South Korea." "Today South Korea is one of the most dynamically developing economies in the world. It is one of the top twenty most effective world economies. It is important that Ukraine could have a visa-free regime with South Korea as well," the politician said. The Ukrainian parliament's speaker said the parties are planning to sign an agreement between the Verkhovna Rada and the parliament of South Korea that will help promote closer cooperation between the parliaments of both countries. Also, he voiced the hope for receiving support and assistance in upgrading the Rada system, which is used by the Ukrainian parliament for voting purposes. Parubiy said his trip will be very important for the inter-parliamentary diplomacy and for cooperation with that region.